Check out this stunning and rare penciled John Romita Sr. 1968 AMAZING SPIDER-MAN page! 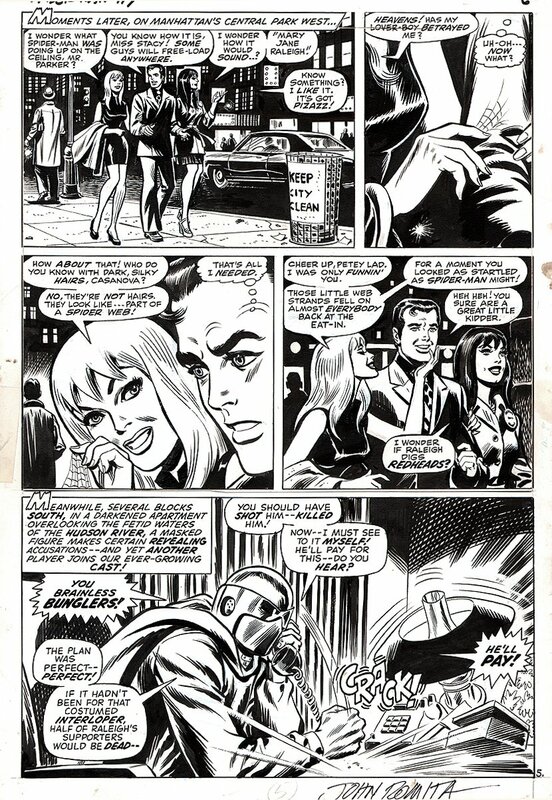 As most people know, John Romita drawn AMAZING Spider-Man pages are EXTREMELY RARE to find for sale on the open market! Check out this great page featuring not only Peter Parker, but also GWEN STACY and MARY JANE WATSON on each of Pete's arms! 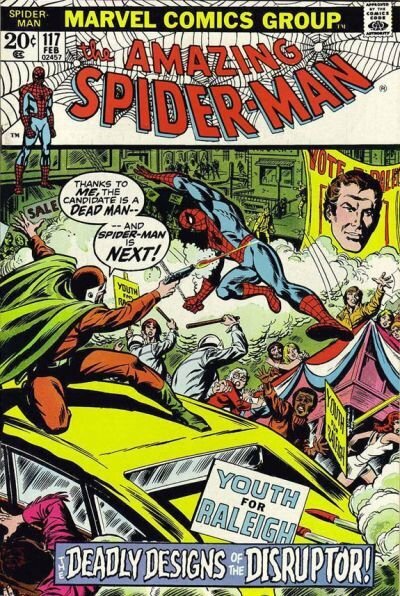 The top 2 tiers on this page were originally drawn in 1968 in The SPECTACULAR SPIDERMAN #1 magazine marvel put out, and then Marvel decided to use this story again for Amazing Spiderman #116-118 and it was touched up and new word bubbles put on to make the storyline work for the 3 ASM books! The nicely detailed BOTTOM spread featuring the evil DISRUPTER was drawn in 1972. Don't miss out on an opportunity to own a piece of Silver Age history with John Romita drawing not Only Peter Parker, but also drawing Gwen Stacy AND Mary Jane Watson with Peter on a date! WOW! There is slight white out touch ups on the top 4 panels but the panels all look great!